www.LittleToyTrains.com provides a searchable database of local model railroading shows and events. Also, the garden railroad pictures from a miniature golf course are worth a look as well. www.wiringfordcc.com is Allan Gartner's Wiring for Digital Command Control Home Page for model trains. Includes his garden railway and HO layouts with other train related links. Rather than try and re-invent the wheel - RailroadData.com provides a searchable, categorized directory of railroad websites. Featuring links to over 5,000 railroad websites. www.southernmuseum.org is the Southern Museum of Civil War and Locomotive History web site. This is the location where the "General" is currently on display. thechoochoo.com is the official website of the Choo Choo Grill highlighted on mymodelrailroad.net. Among other things, the site tells the story of the early days of the Choo Choo when it competed with the very first McDonalds restaurant. 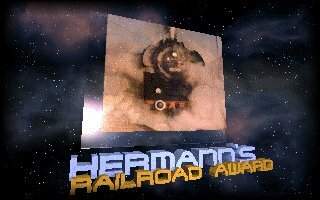 http://alphabetilately.com/US-trains.html will lead you to a fantastic website of a stamp collectors that features trains and railroad lore.